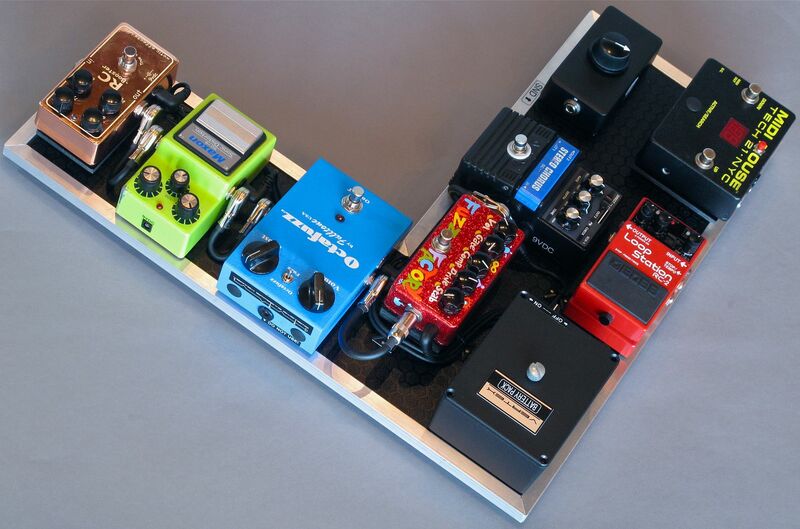 Here is a pedalboard I did for Scott Henderson. 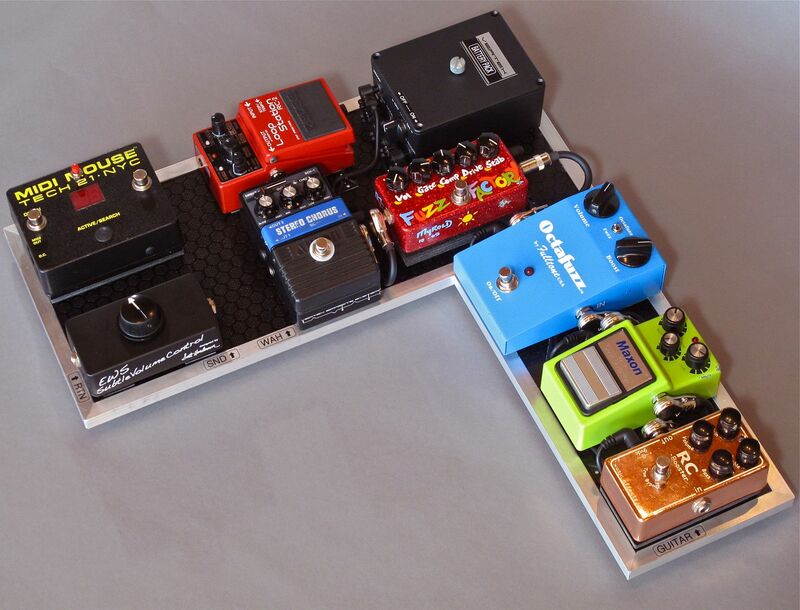 Scott was looking to re-create a lighter and more efficient version of the pedalboard he had been using for the last few years. The original pedalboard that Scott had lacked convenience. He needed to check his batteries daily to ensure that pedals would not die while on stage, and removing batteries from pedals required that pedals be removed from the pedalboard. He also needed to unplug the input from each pedal before and between performances so that the battery life would be extended. Additionally, Scott felt concerned about the positions of his pedals on the pedalboard platform, making them susceptible to damage (with jacks on the rear on the pedals often getting hit). 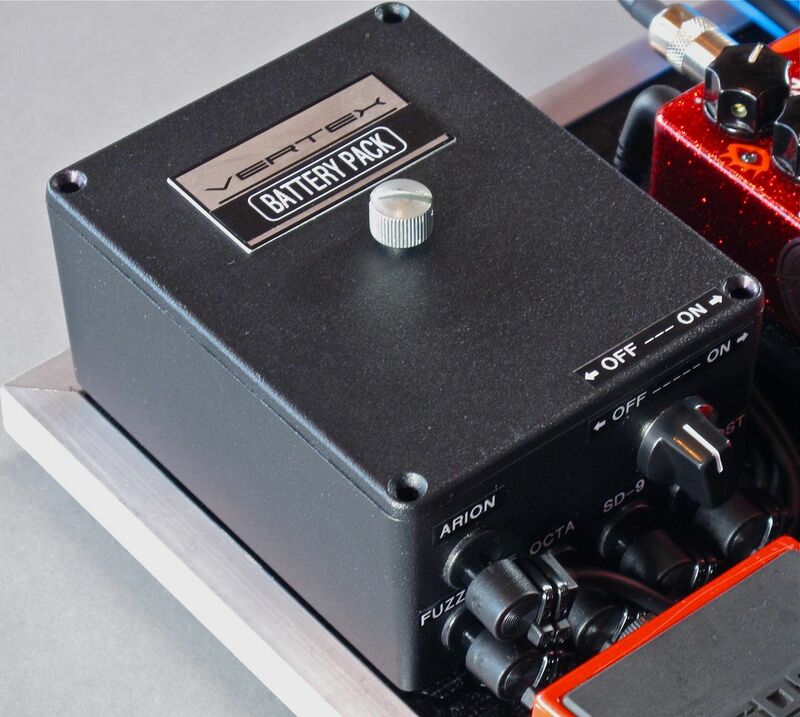 When Scott saw the Vertex Custom Battery Box that Michael Landau had (pictured below), he was inspired to incorporate something similar into his rig, allowing him to consolidate space between the pedals (no need to unplug the inputs to each pedal), and more easily replace batteries. Vertex Custom Battery Pack with ON/OFF switch on the exterior (houses five 9V batteries). - Additional 2.1mm power jacks were installed on the sides of the Maxon SD-9, Fulltone Octafuzz, and Arion Chorus to eliminate the possibility of a connector getting hit during a performance or in transit. - The 1/4" jacks on the Fulltone Octafuzz were moved to the side of the enclosure so that there would be no possibility of the 1/4" connectors getting hit during a performance or in transit. 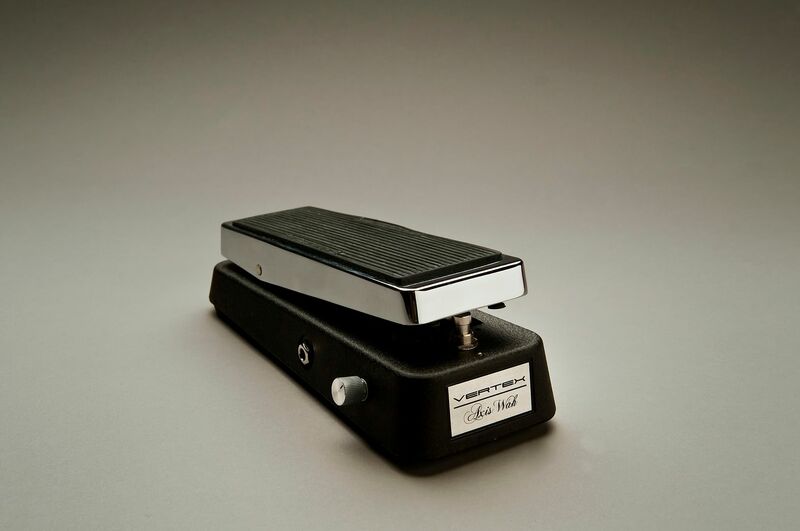 - The Arion SCH-1 was given a partial "Landau" modification, it doesn't have both voicings, and there were changes made to how the FET is utilized (with the switching) when the pedals is engaged. Boss RC-2 Loop Station is not in the signal path. It is only used during sound-check to listen back through the PA.